Koh Samed or Ko Samet is a small island in the Gulf of Thailand which belongs to the Rayong province in central Thailand. Ko Samed is just 2.5 to 6 km big but the beaches especially on the east coast are awaresome. Because of the closeness to Bangkok come many tourists to fade their holidays. On weekend and thai holidays many locals come from the capital to Koh Samet to escape from the city. The main attraction of Koh Samed are the beaches. The main beach is Hat Sai Keaw or Diamont Beach which is dirct next to Samed village with good Seafood restaurants, cosy bars, hotels in all categories, massage shops and souvenir shops. Direct on the beach are various restaurants where you get seafood, Thai dishes and western food besides you can enjoy the small nightlife area in the village of Samed. Thereare some bars like the Old Amsterdamm. On the other beaches like Ao Cho, Ao Wongduan, Ao Wai and Ao Phai it is a bit quieter. Coconut palms and the white sands makes it to a paradise destination with tropical weather. On the tranquil west cost of Koh Samed are as well some great beaches with accommodation where you can enjoy the Robbinson feeling. 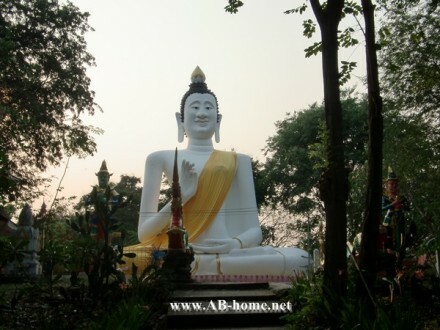 Leam Phra, Ao Kham and Ao Phrao are the greatest places on this side. 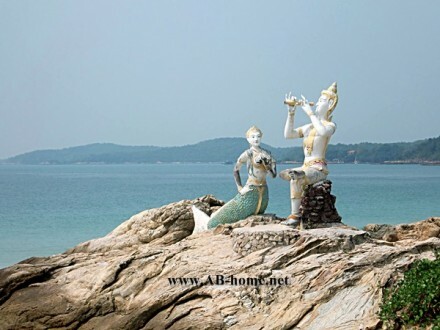 On Hat Sai Khao you will reconize a statue which is dedicated to Sunthorn Phu, a Thai poet who makes Ko Samet to the location for the famous Phra Apaimani saga. There are many things to do on Samet island, scuba diving, jet ski, banana boat, excursions or jusl relax on the beach, this island in Thailand offers for all the right thing. Ko Samet offers as well great snorkeling sides, it belongs to the Khao Leam Ya Mu Koh Samed marine national park so enjoy the great underwater world around the paradise island. Play Scuba Diving offers diving couses, day trips an discover diving on the island. If you looking for a good hotel, resort or guesthouse on Samt look here and get the best accommodation deals for Thailand. Thailand, this country in South East Asia has for everyone the right destination. 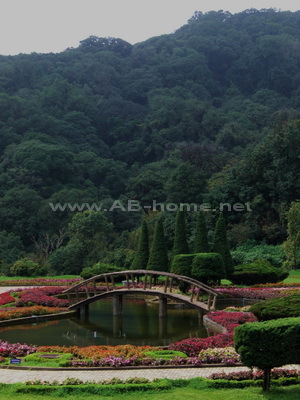 At north vales and mountains with evergreen Forrest dominate the landscapes. North Thailand is the right choice for culture and temple fans. 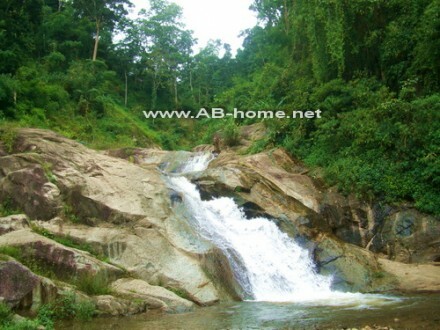 Many tourists come for rafting, hiking or to see the minorities near the golden triangle. 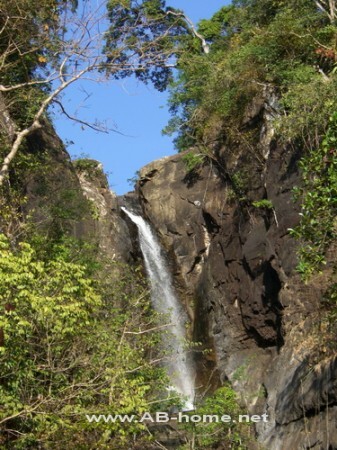 My travel favorites in this region in Thailand are Pai, Phrae and Chiang Mai with great waterfalls at the Doi Inthanon national park. The north east of Thailand as well knowed as Isaan offer traditional country life and beautiful landscapes with neon green rice fields. 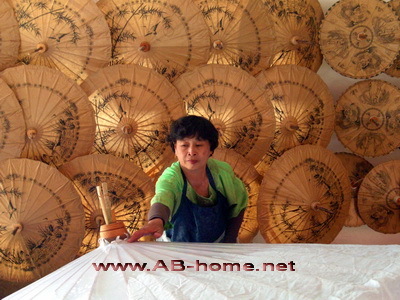 The right choice for culture tourists, traveler and honeymooner in Asia. 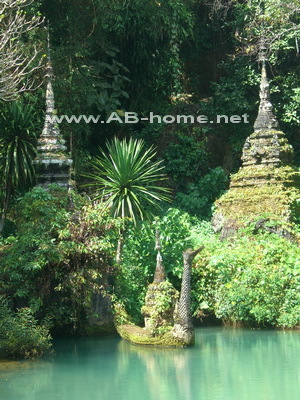 In central Thailand are many holiday and honeymoon destinations which are interested in old temple architecture. My favorite historical temple cities here in this part of Thailand are Sukhothai and Ayuttaya. 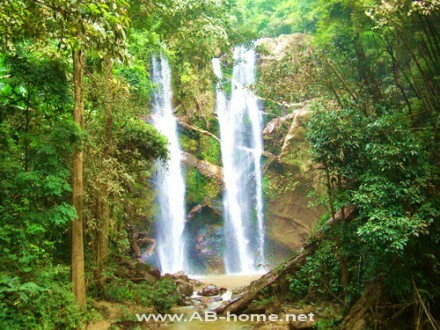 As well many nature tourists and traveler come to central Thailand to visit the wild national parks like the Khao Yai or the Kanchanaburi province with nice hillsides and the river Kwai. Bangkok, the capital, is a good intersection for backpacker and tourist on an Asia round trip. The Gulf of Thailand have some great tropical islands for beach life fans and Thailand beach holidays who like to hang around in a cozy beach hut direct on a paradise beach. 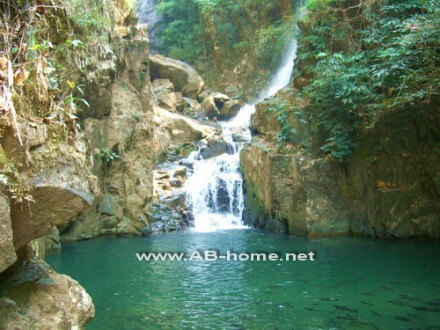 Koh Chang, Ko Samui, Koh Tao or Ko Pha-Ngan is the top destinations for traveler and people who like beach holiday. 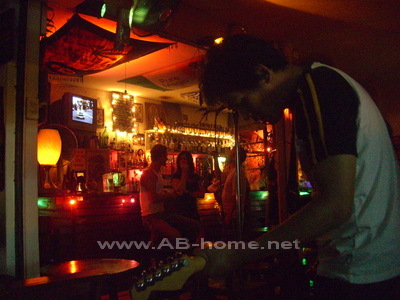 Pattaya is the party and luxury resort center of this great country in SE Asia. 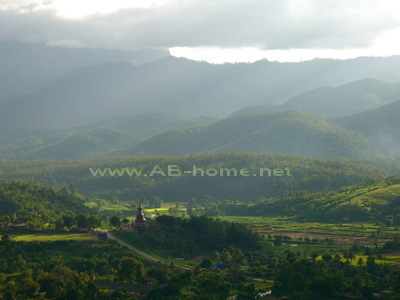 Chiang Mai, Mae Hong Son, Pai, Lamphun, Ban Nai Soi, Nong Han (Udon Thani), Phrae, Chiang Khong, Chiang Dao. Sukhothai, Phetchaburi, Kanchanaburi, Ayuthaya, Bangkok. Trat, Mairood, Koh Maak, Koh Tao, Koh Samui, Koh Chang. 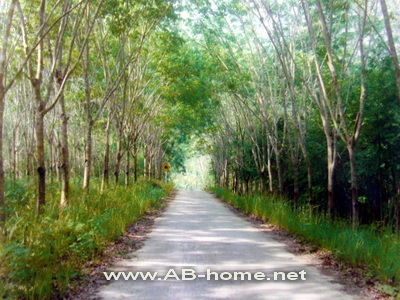 Krabi, Koh Phi Phi, Sichon, Nakhon Si Thammarat, Patong Beach, Phuket Town, Chumphon, Phang Nga, Ranong. Padi Scuba Diving Courses, Diving on Koh Chang, Songkran Festival, Pictures of Wildlife, Travel Tour South and Central, Travel Trip to the north, Pictures of Temple’s. Click here for more Travel Reports of this blog. Chiang Dao in Thailand’s Chiang Mai province is a small village which is very famous for the holy caves “Tham Chiang Dao”. 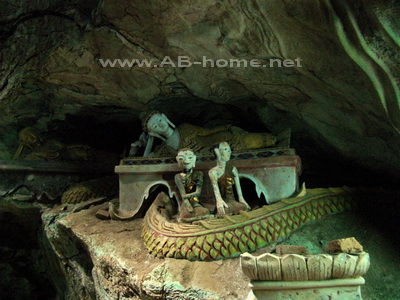 Many day visitors and traveler come from Chiang Mai to see the long cave system with many holy Buddha images here in north Thailand. On the entry of the Chiang Dao cave are many shops with food, drinks and herbals. The entry fee was in 2009 20 which is used for electricity for the caves. Some caves like the Thum Pranon have lights so you can walk easily through the old and mystic paths. If you are lucky you can see some bats. For other caves you will need a guide with a gas lamp. The guides here in Chiang Dao know the history and speak good English; the price was 100 Thai Baht for a cave conduct. On the way to the main attraction here in this town which is about 80 km away from Chiang Mai you can visit many nice Buddhist temples which invite you for meditations and to make some great holiday pictures of your travel trip through northern Thailand. 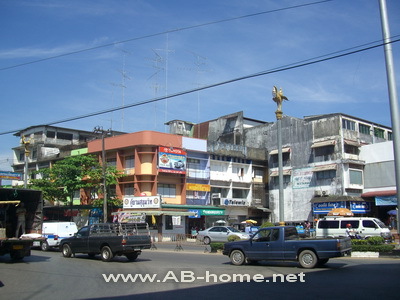 Accommodation is widespread here in Chiang Doa, direct in town are many guest houses. We slept at Rim Doi Resort a bit out of the city which had clean rooms for a good backpacker price of 350 Baht per night. 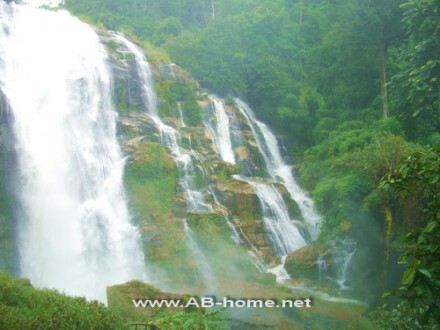 If you stay longer and want to explore the environment around Chiang Dao in north Thailand than are the Pha Dang National Park and the beautiful Wat Pla That Doi Mornjing nice options for pleasant day trips. The best way to come around is by car or motorbike. 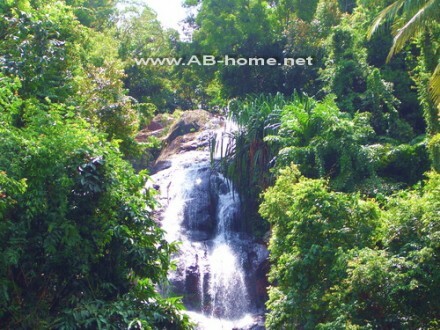 You will enjoy the landscapes and the charm of Asia in this non touristic and travel area in Thailand. 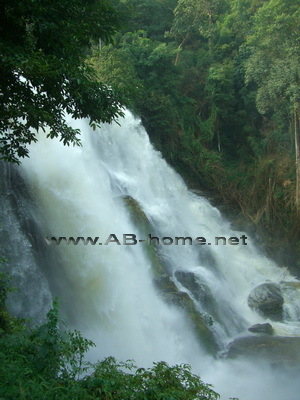 Click here for Chiang Mai Hotels booking. 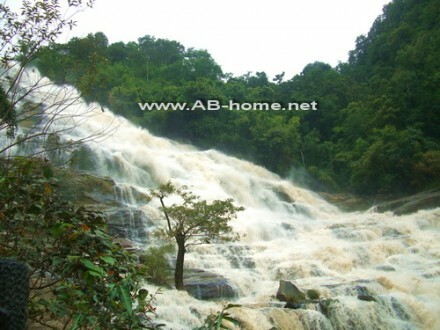 The Phrae province in the north of Thailand is one of the less visited provinces in the Kingdom. 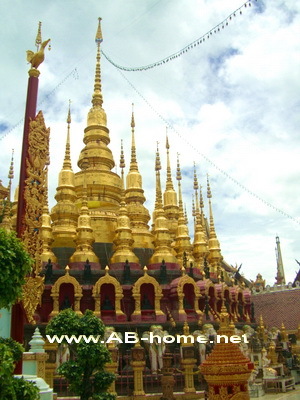 Just some traveler, backpacker and culture tourists come here to watch the beautiful Asian temple and the Phae Meuang Phi, which is one of the landmarks of Phrae in Thailand. 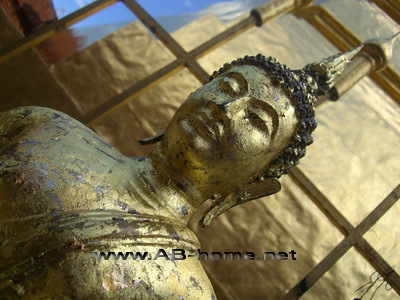 The oldest temple is the Wat Luang from the 12th century. My favorite temple of the Phrae province was the Wat Phra Suthon Mongkon Kiri. You will recognize this great holy place because of the huge reclining Buddha image witch you can see from the highway to Phrae. The Phra Suthon Mongkon Kiri temple is a nice daytrip with by motorbike if you stay here some days. Another nice destination for temple fans is the Wat Phra That Cho Hae temple about 10 km out of town which is famous for the Phra Jao Than Jai Buddha. 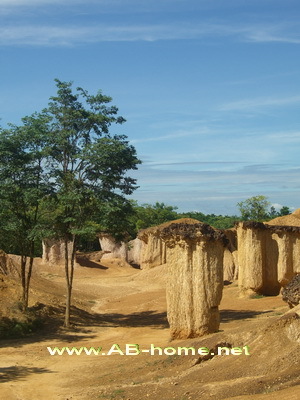 But our highlight on this travel trip to Phrae was the Phae Meuang Phi national park with his pillars of earth and stone which look like huge mushrooms. The Meuang Pi park is easy to reach by taxi, if you want to save money you can go as well with the bus from the bus terminal at the center. Some view points and rest stations invite for a picnic. Inside the town are some possibilities to stay. Thip Vong Place, Paradorn Hotel, Maeyom Palace Hotel and Nakhon Phrae Tower are just some of the accommodation options here in this city in north Thailand. We sleep at a friend in a wooden house a bit out from the historical moat near the market. Prae is a great destination for all people who like temples and beautiful landscapes and a nice travel stop for backpackers on their way through SE Asia. 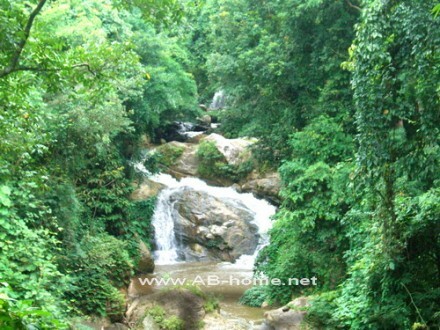 From here you can easy travel to: Lamphun, Chiang Mai, Laos… Have fun and enjoy your backpack tour!